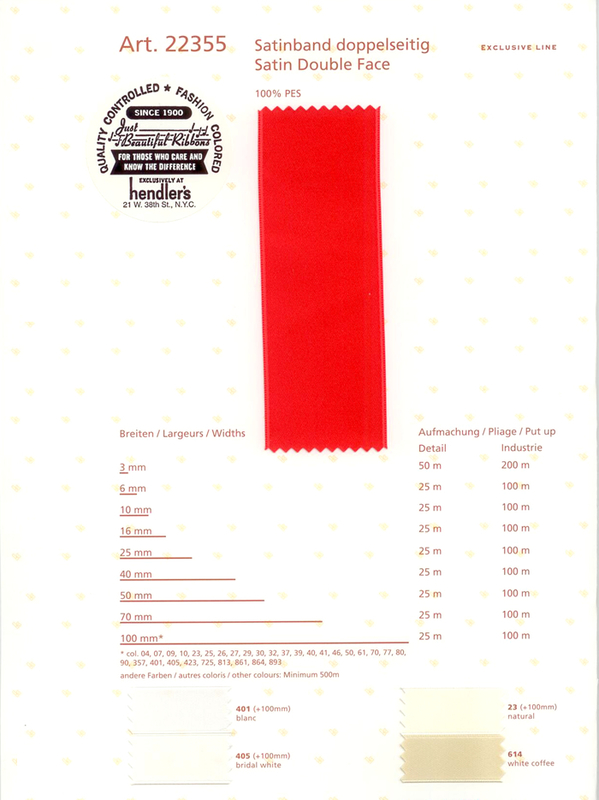 This Satin Ribbon has some colors in stock in 70mm and 100mm sizes. You may call 212.840.8393 for color availabilit. For special order quantities of 50 -100 meters minimum, available in sizes listed below.